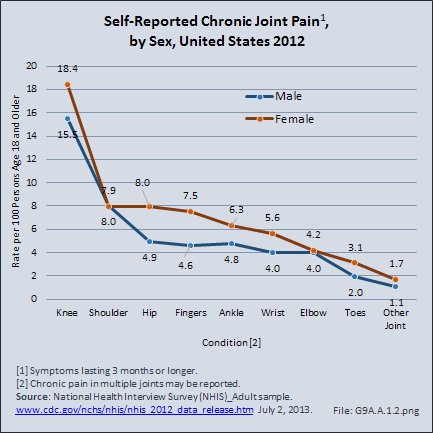 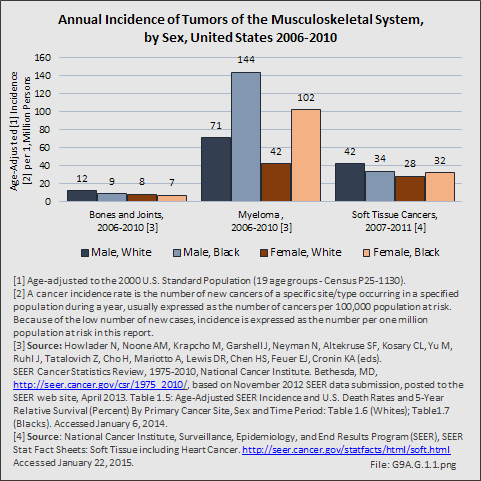 Women are affected by arthritis at a higher rate than are men. 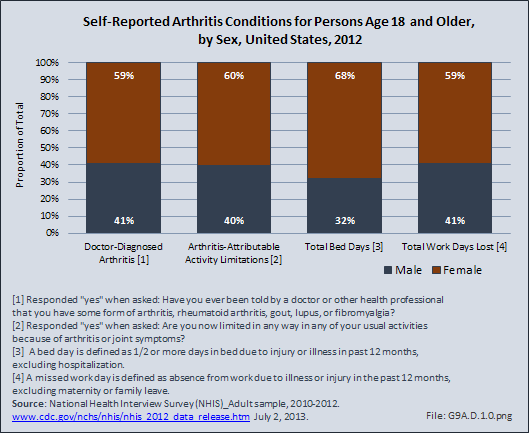 Three out of five persons who self-report they have been told by a doctor that they have some form of arthritis are women. Women also are 50% more likely to report they have limitations with activities of daily living because of their arthritis. 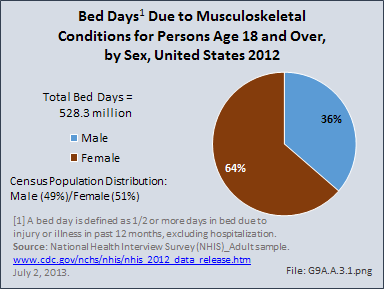 Women also report in higher numbers they spent at least one-half day in bed in the previous 12 months due to an arthritis condition, and they reported a higher mean number of days spent in bed (25.7 versus 21.2 days for men). 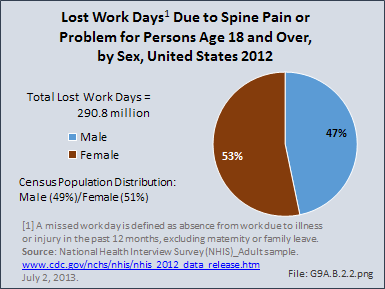 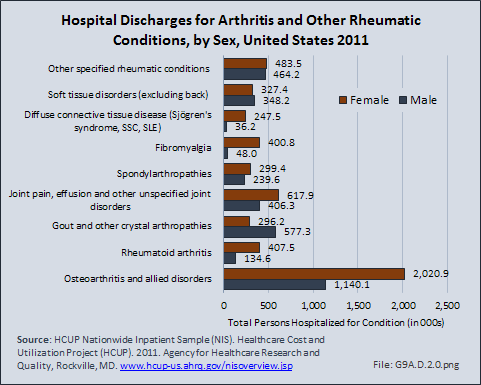 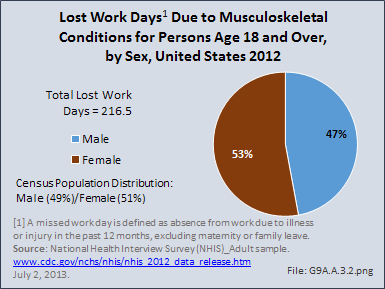 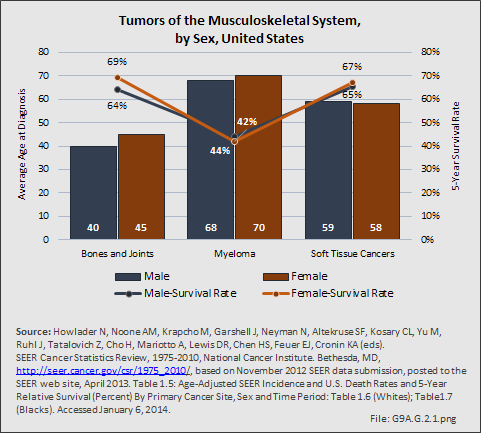 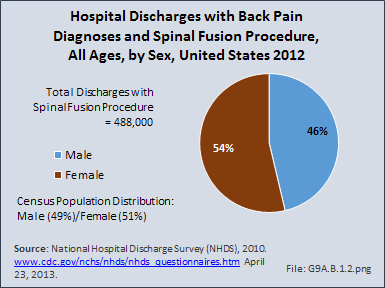 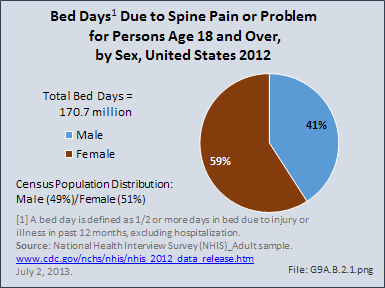 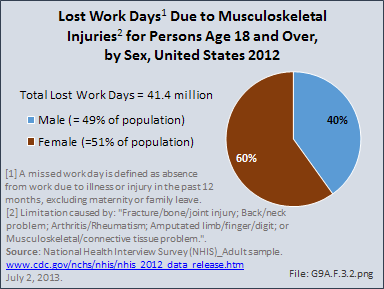 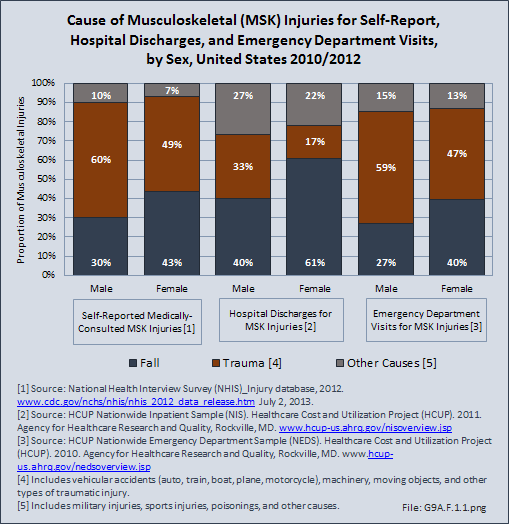 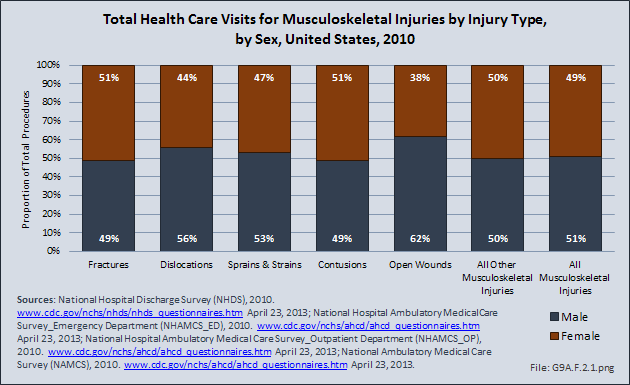 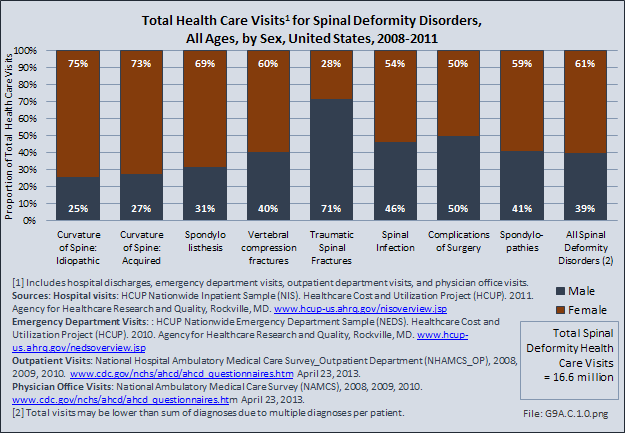 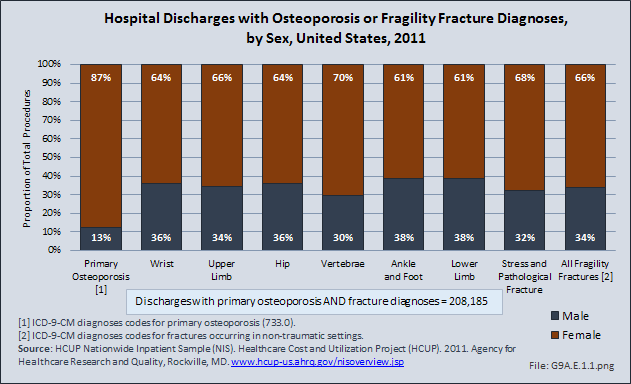 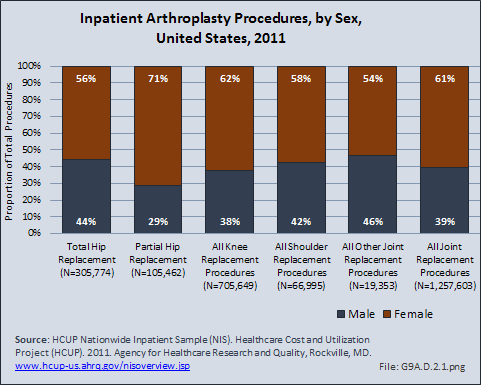 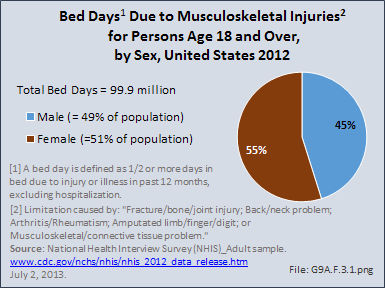 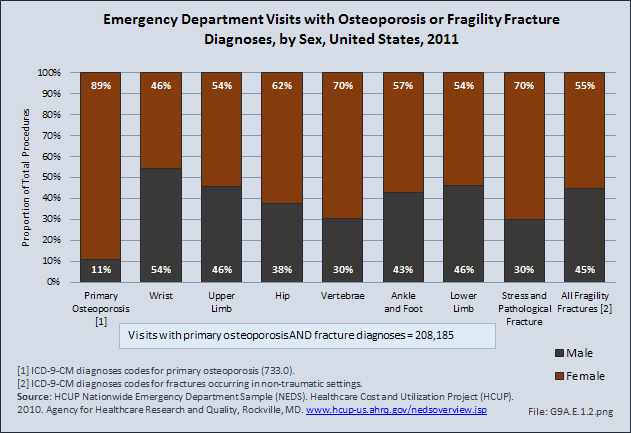 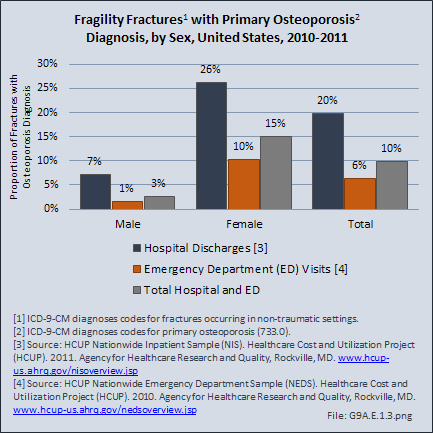 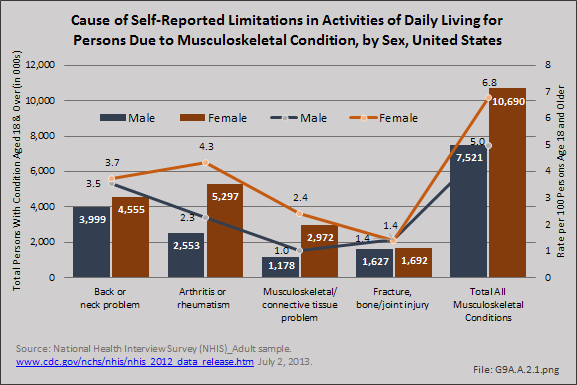 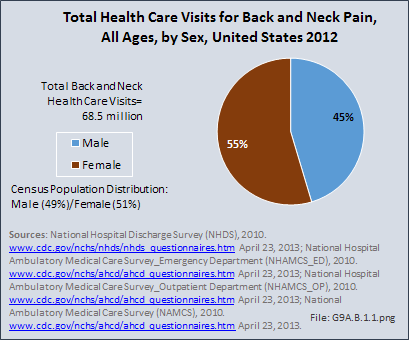 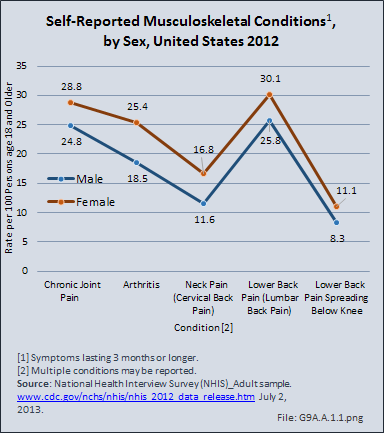 As a result, women accounted for 68% of all bed days attributed to arthritis conditions in 2012.